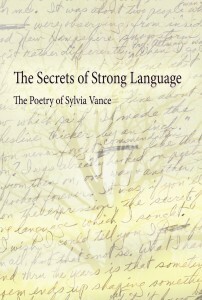 The Secrets of Strong Language features poetry by Sylvia Vance. This collection, compiled by her daughter, is the first time Sylvia’s poetry has been published together. We worked closely with Sylvia’s family to produce and publish a book that would honor a lifetime of hard work by a talented poet. Find The Secrets of Strong Language here, or ask for it at your favorite bookstore. After collecting Sylvia’s poetry, we received detailed instructions on the order and layout of the book, and followed those directions exactly. We provided several design samples prior to completing the book interior to ensure Sylvia’s book would turn out exactly as expected. After completing the interior design, our cover designer worked with a handwritten page of Sylvia’s poetry, transforming it into a cover for both the paperback and hardback editions of the book. After the cover and the interior of the book were finalized, we created an e-book version of The Secrets of Strong Language, and distributed the book in hardback, paperback and e-book formats to all major retailers. What was once a folder of handwritten poetry, is now a beautiful book that can be shared with Sylvia’s family and loved ones. Publishing your book with Columbus Publishing Lab is a unique experience. We provide professional services, but also the comfort of a one-on-one relationship. If you’re interested in publishing your manuscript, we encourage you to contact us today.